In July 2000, a friend of ours who was working at a summer camp in a local private school called to say he had found a bird walking down the hall in the school building: Could we take care of it? He brought the bird over later that day, and within a week, I had fallen in love with this bird. 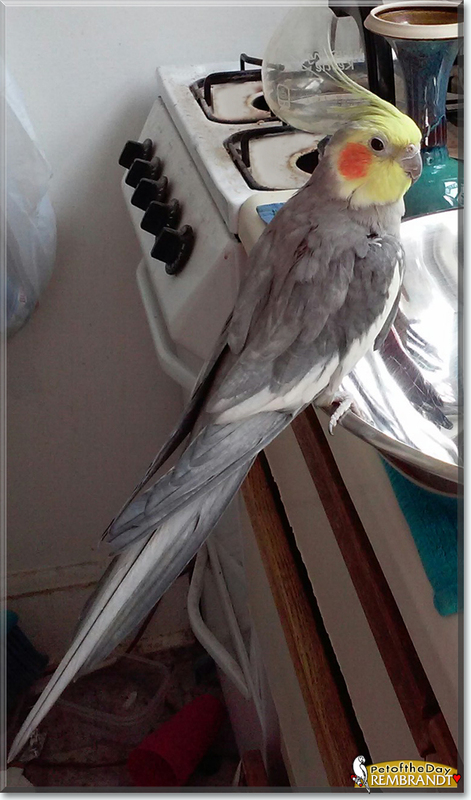 My then husband and I agreed to name him Rembrandt because "cockatiel" is originally a Dutch word, and because his colors were subtle but beautiful. He proved to be intelligent, sociable, hand-tamed, sensitive, and affectionate, equally fond of me, my husband, and our daughter. One day I combined all the nicknames my husband had given him and came up with Alphonse Ignatz Zoltan Hirohito Rembrandt van Tiel of the Clan McTiel, a.k.a. Spanky. In 2013, my husband and I separated. Our younger bird went with him, but Rembrandt stayed with me. He has been my best buddy through moving out on my own, being horribly sick for a whole week, going through the divorce process, and all my ups and downs. 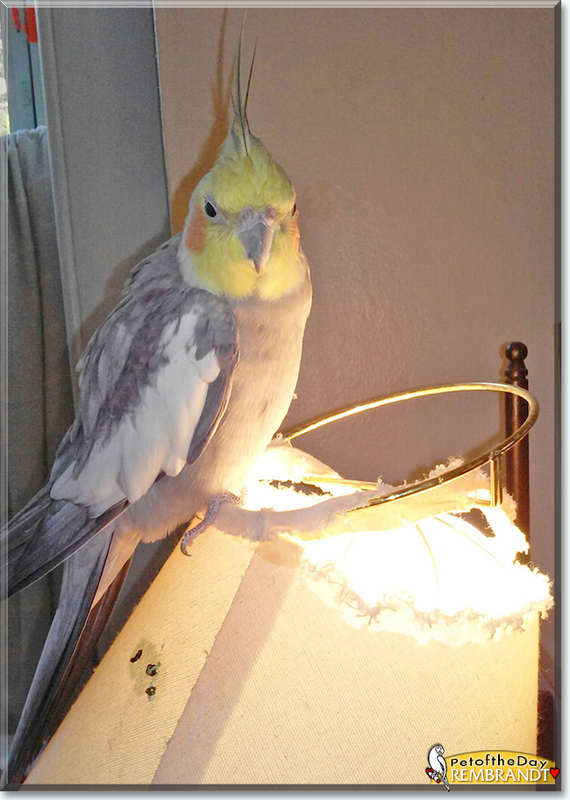 I've had many smaller birds with shorter lives and been grateful for their companionship, but Spanky is the bird love of my life, even if he does destroy my lampshades. I don't know what I'd do without him. Talk about Rembrandt in Pet Talk!